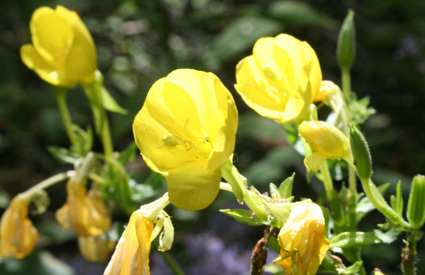 These pale yellow flowers open at night and produce a sweet scent to attract nighttime pollinators including moths. Look for the four petals that can also reflect moonlight and guide pollinators toward their nectar. These plants often grow in disturbed areas such as roadsides but can also be found in forests.